HL Mencken referred to a martini as, "The only American invention as perfect as a sonnet". How do you like your martinis? Dry, dirty, perfect or with vodka; shaken or stirred, an olive or a twist. 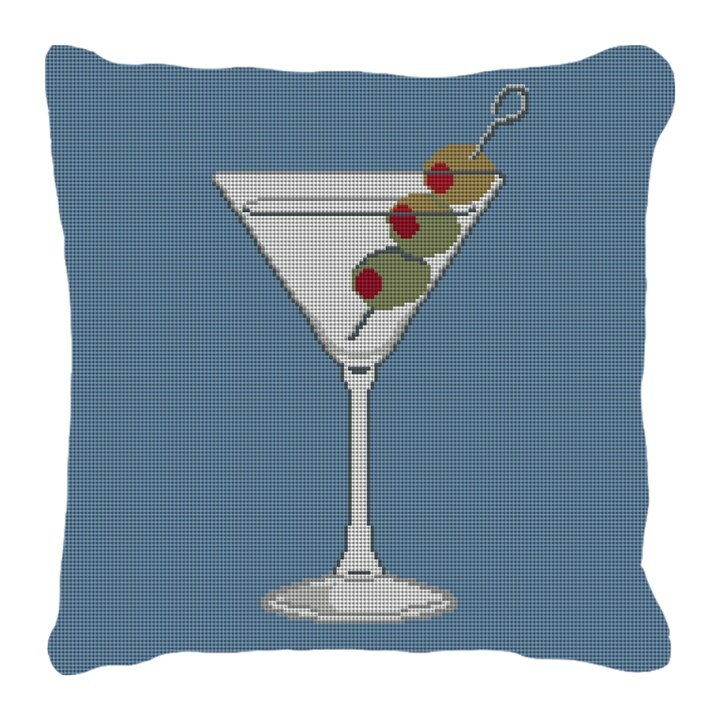 We have designed a needlepoint pillow with America's classiest cocktail to add to your living space, featuring one of the best known mixed alcoholic beverages -- the martini!